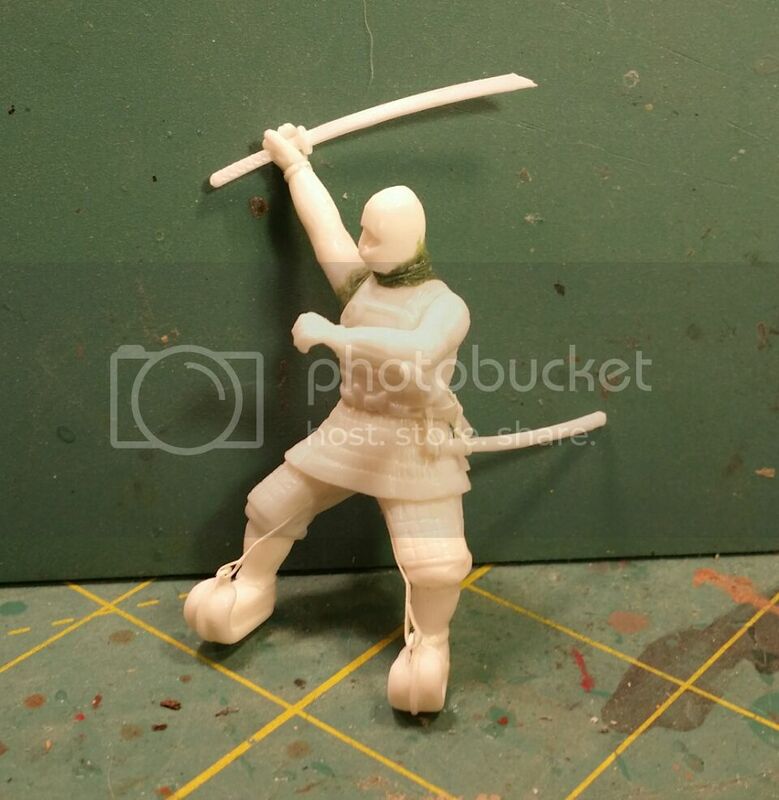 Working on this out of production Samurai kit from Aoshima. Love the box art of this kit. The kit figure required converting. It had a stiff pose: legs together, head looking forward, and torso bent forward. This was corrected with a razor saw and putty. The new pose is much more dynamic. Soft padding detail on the arms was fixed by sculpting more defined items. 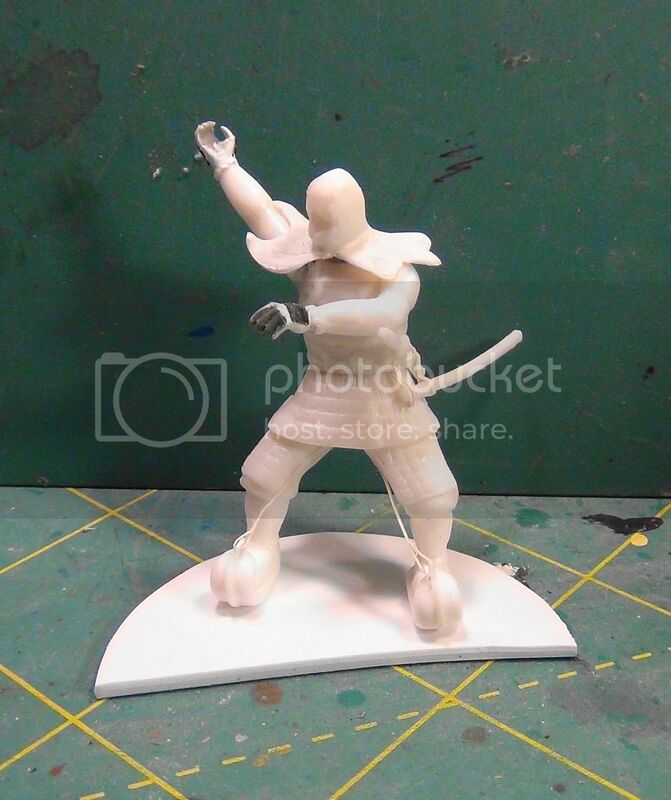 I also used styrene strip to attach the 2 swords to the figure. This detail was missing on the original. 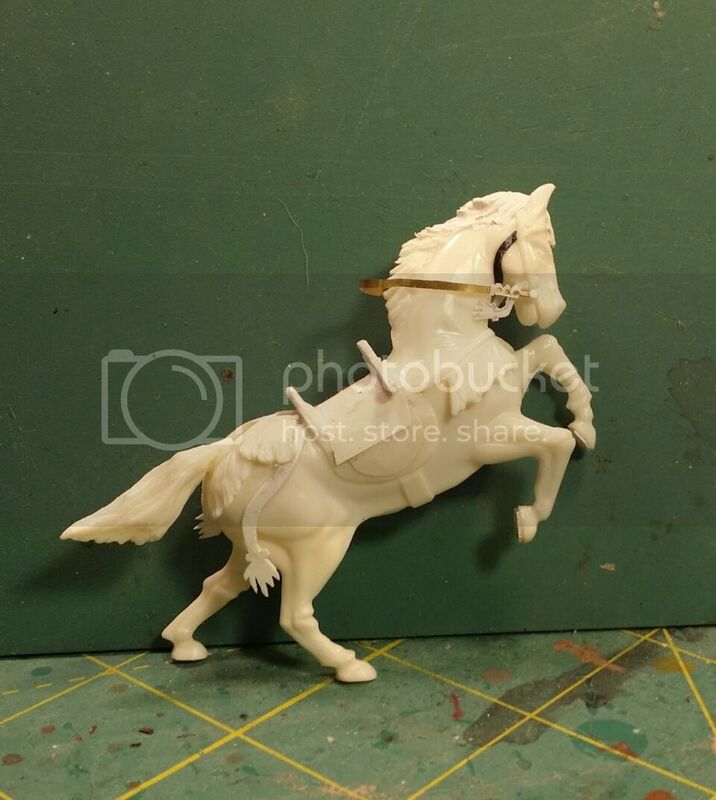 The horse required some detail work. Using the box art, I added missing items. 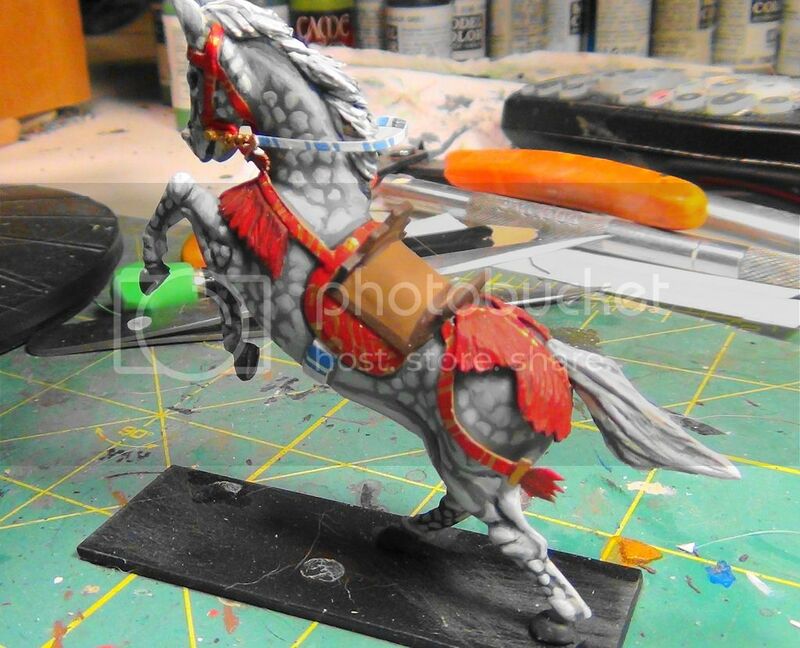 The Bridle was detailed. I added a more flexable reign(P.E. strip was used). Non existent saddle pommel and back rest was added. Decorative streamers were added. The horse rider needed some attention. 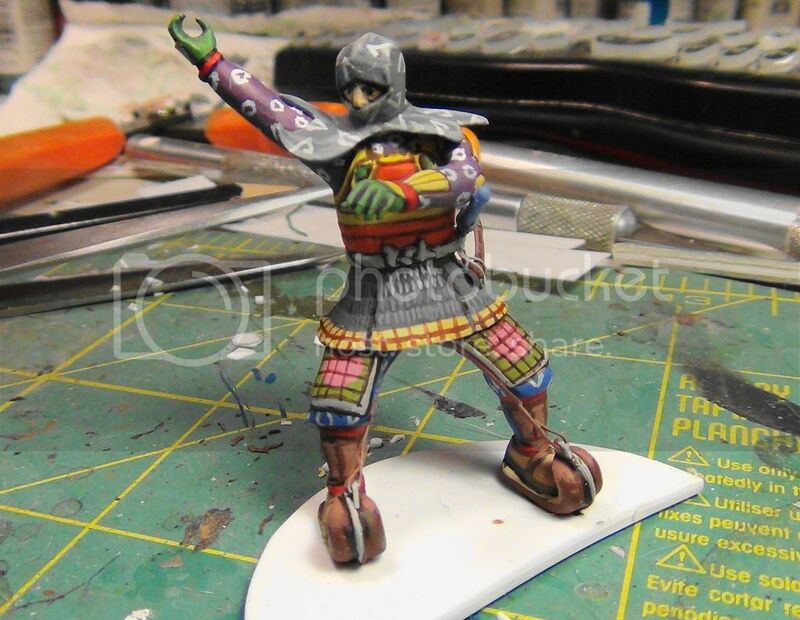 Stirrup detail was added(styrene strips). 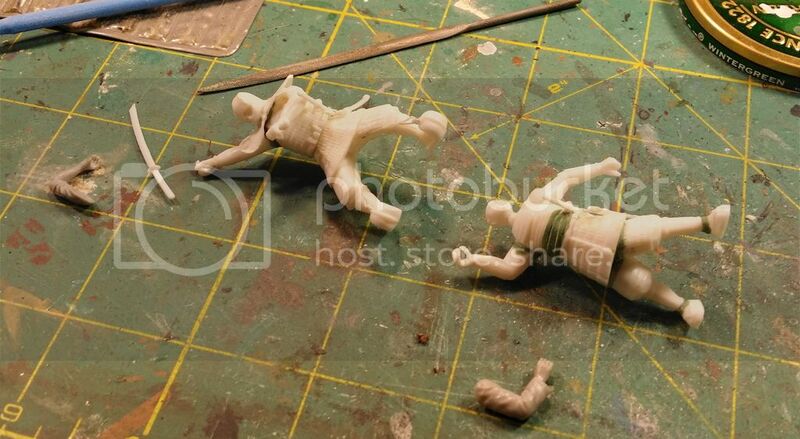 Styrene strips were also used to attach his 2 swords. 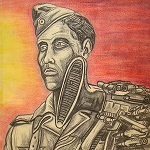 The head was repositioned to conform with the box art. Thanks Kekso. 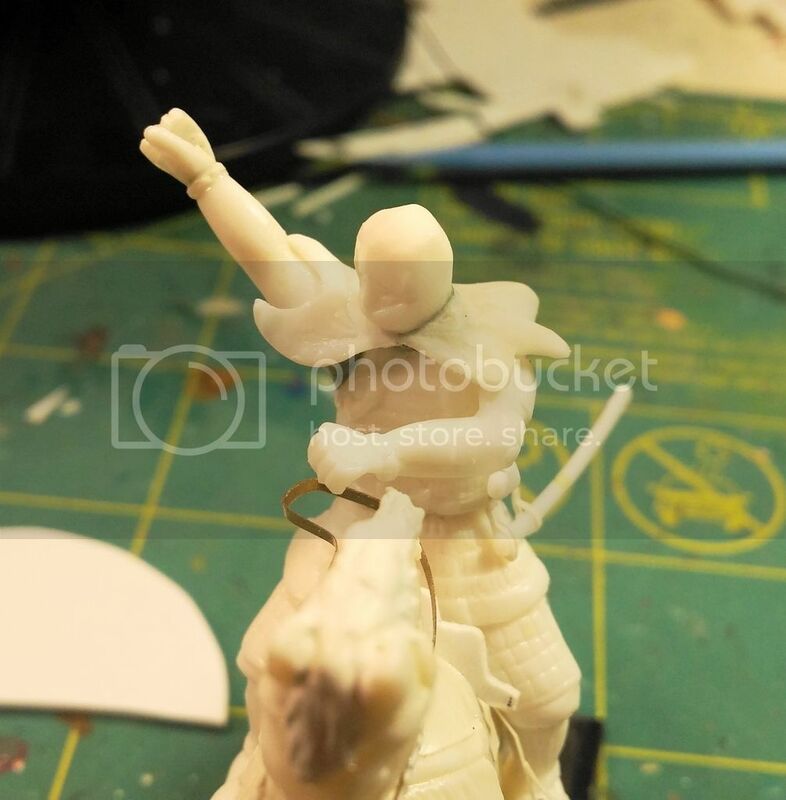 Samurai subjects are a favorite of mine too. 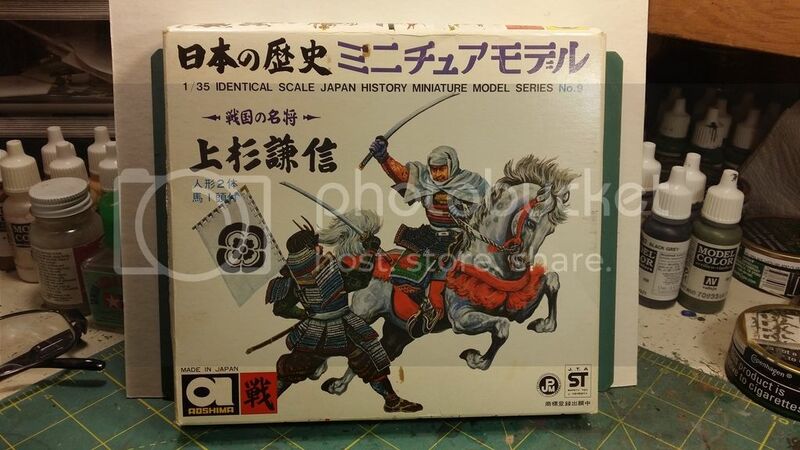 Aoshima made a whole line of Japanese Historical kits centering on the Samurai. I scoop them up off of Evilbay whenever I see them. Hahahahaha. 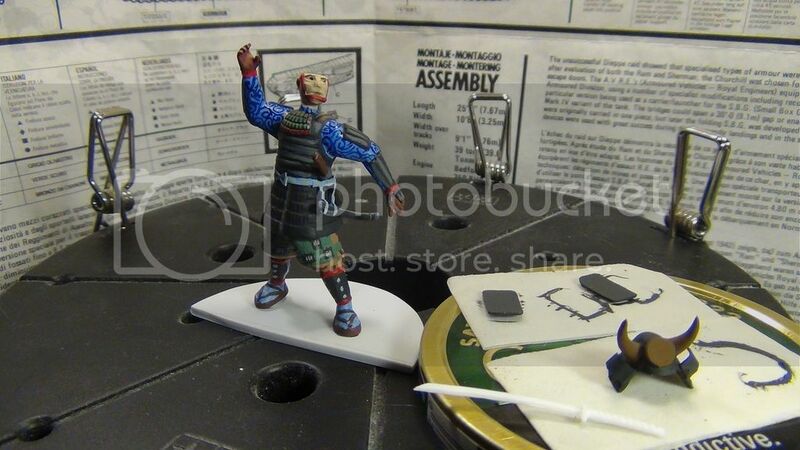 panzerman825 wrote: Aoshima made a whole line of Japanese Historical kits centering on the Samurai. 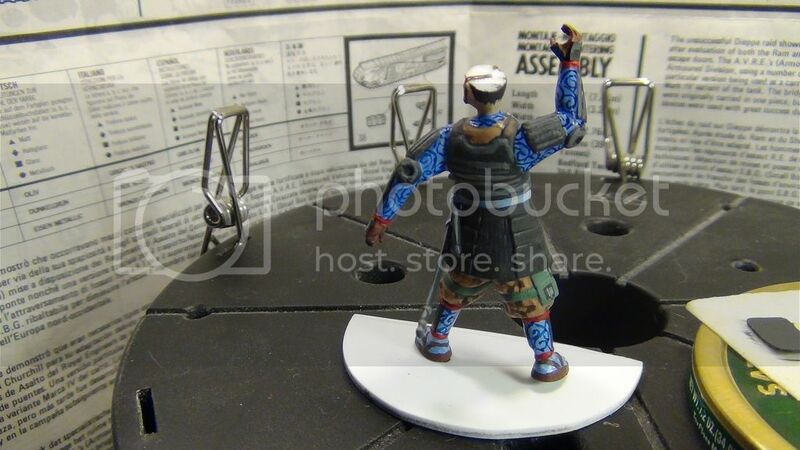 Feudal Japan is my favorite theme in our hobby. I painted a lot of samurai stuff in the last years. You inspire me to paint my. Great start! I like to see more! Thanks Kekso, Korad, and Peter. I have lots of those white box Aoshima kits. I have not heard of Steel Fist miniatures. I'll check them out. Konrad, I'd love to see what you make of those old kits. Good Luck and have fun. I've built/painted the Samurai Cannon set and the Shogun command set so far. Very cool looking. Well this kit is quite a challenge,even for someone who knows what he`s doing. I added the lower portion cape to the Horseman's head gear. I'll add copious amounts of putty to blend it in. The 2 left hands issue is being corrected. Spare hands were culled from the parts bin. Horseman's cape is all blended in. I added the glove pads to both of the new hands. Looks a lot better! The opponent's hands look a lot better too. Added the pads to them, and did a little gentle forcing to close his grip. Thanks for viewing. Hopefully, the painting process will commence soon. Any questions or comments are welcomed. Seriously this is looking very cool. Looking forward to seeing how these end up. please keep the updates coming! @Bramble15, Hello old friend. Hey, I'm just venturing out into different subject matter. I'm still a devotee of Armor, aircraft, and forced perspective dioramas. Fear not! Hahahahahahahahaha. What have you been up too?....Love seeing your wonderful creations. 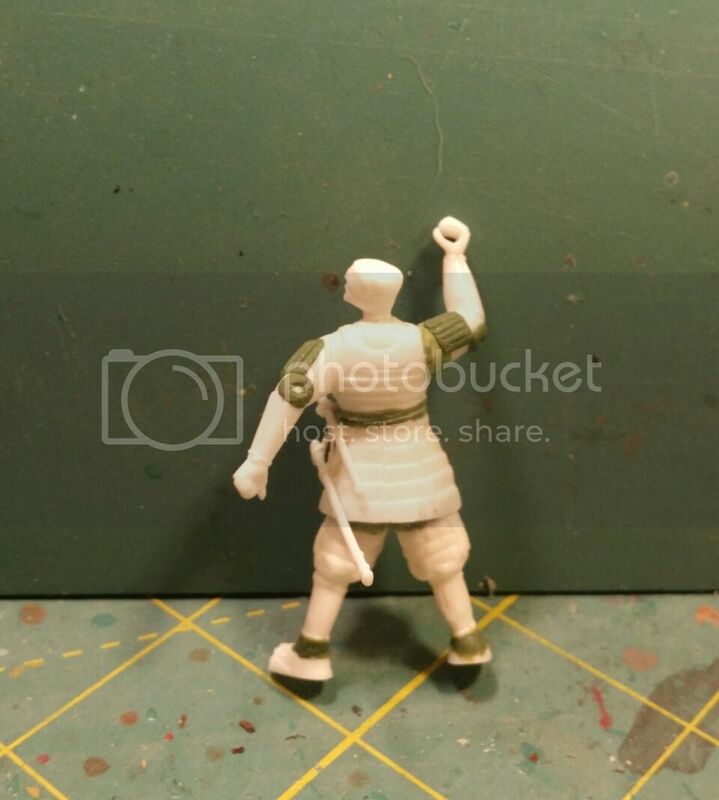 Started painting on standing Samurai. Used color profile in kit as a guide in copying colors and textile patterns. Copying the textile patterns was a challenge.....even in 1/35th scale. 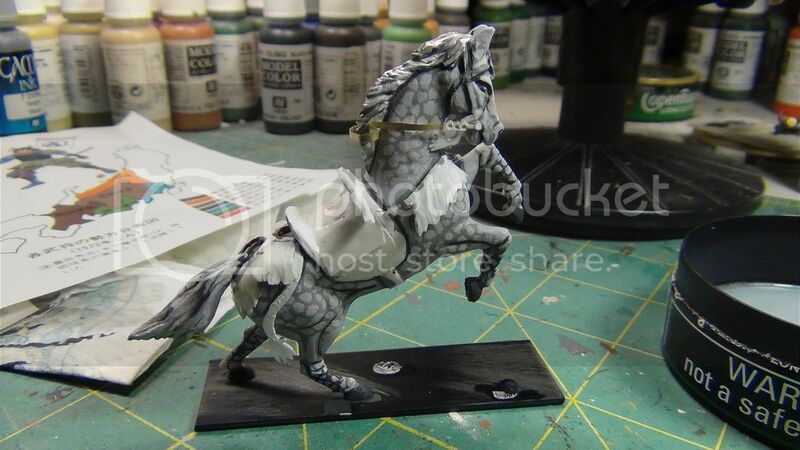 Started the paintwork on the Horse. Followed the color profile as well. The dappled colorization on the horse was a challenge. Thanks for watching. More to follow. Any questions, feel free to ask. I love that blue shirt with the swirly pattern on it! Bluefalchion, Thanks. I liked the textile pattern too. Seems the Samurai were quite fashionable in their time, Hahahaha. 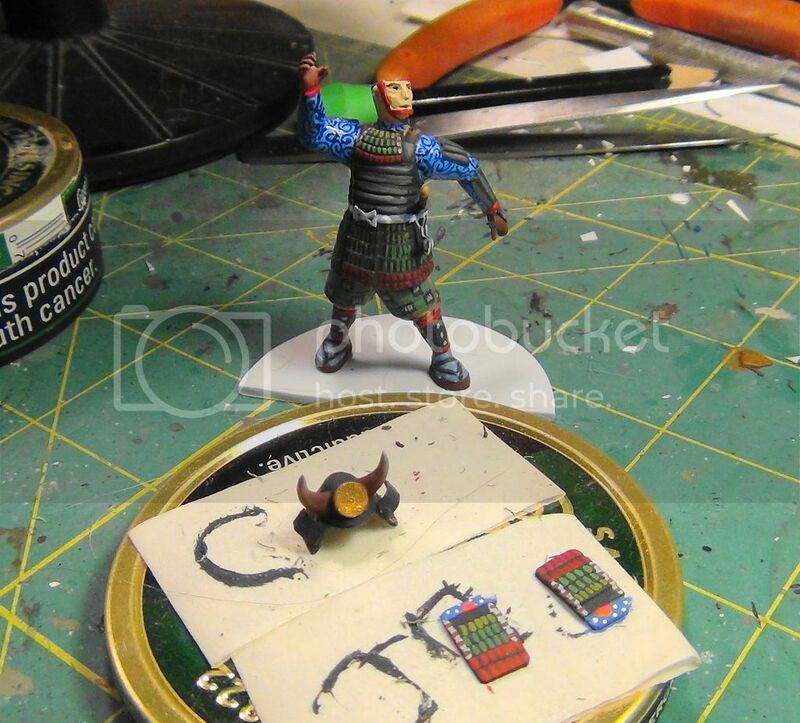 The standing Samurai had his helmet and shoulder armor painted up. Again I followed the box art as a guide. The finishing touches were applied to the horse. 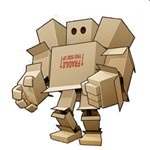 Again, box art as a guide. The Horseman got the most colorful application of paint. I like how he turned out. 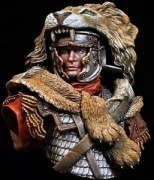 Some more work needs to be done to the Samurai's faces. Also, I can't forget to do their swords. Yikes, what kind of Samurai doesn't have a sword. Hahahahaha. Questions or comments, please ask. Excellent work so far Bill! Thanks Peter. All I have left to do is the weapons and a banner. Coming up with a suitable base will take some thought and planning. Fingers crossed! 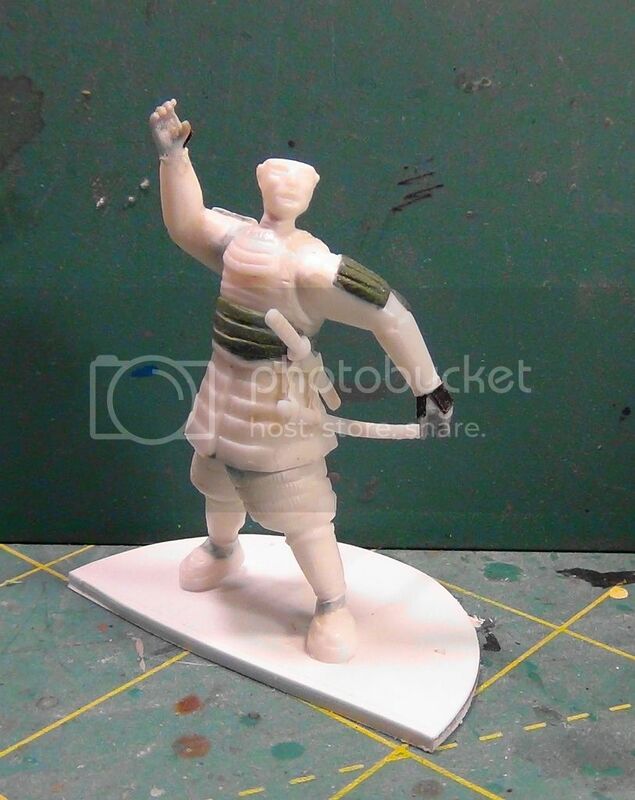 Messing around in photobucket, I erased the image of the standing Samurai. Here he is again. Ooops! 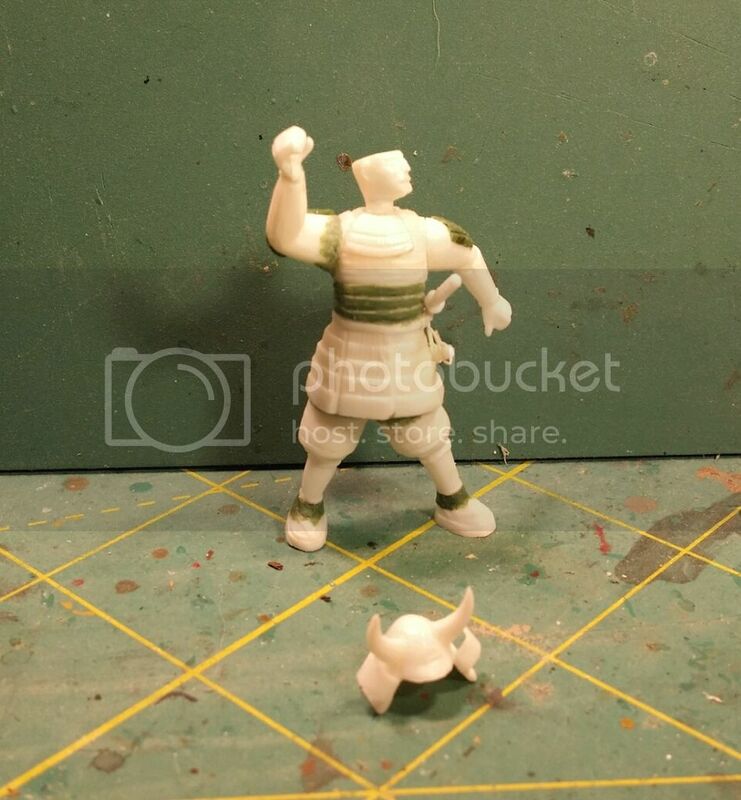 I like the detailed process of the making of, Bill, with a lot of good pictures to see all the stages for that the figures are passing. And your paintjob has two aspects I love: great detail and a very neat paintbrush work. Congratulations, I'm impatient to view the finished vignette on the base.